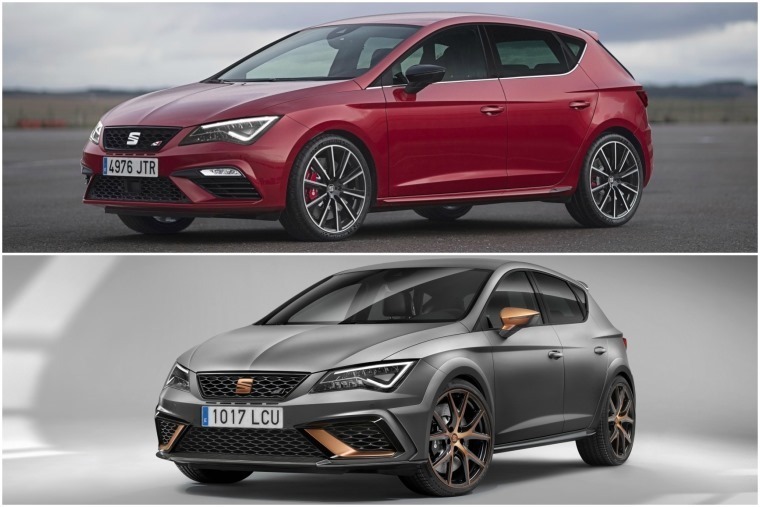 Seat’s fiery Leon Cupra R hot hatch has proved a smash-hit in the UK, with all models destined for these shores snapped up already. Featuring a highly tuned version of the standard Cupra 300’s 2.0-litre turbocharged petrol engine, the R pumps out 306bhp – enough to make it the most potent road-going Seat ever. 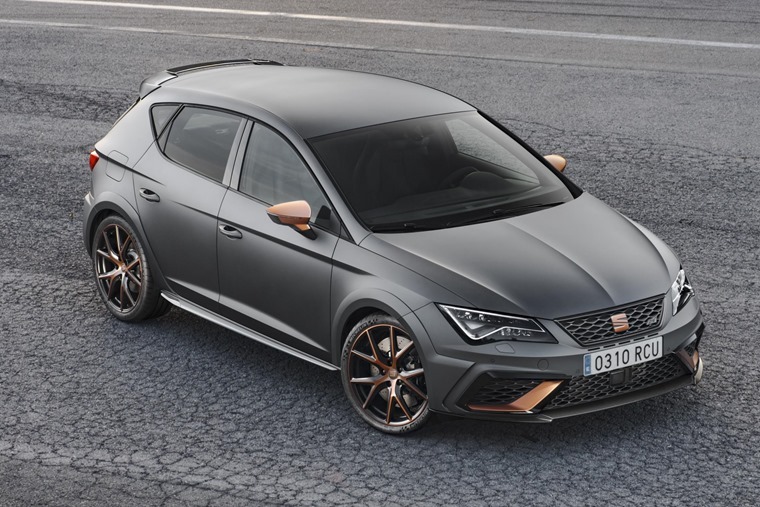 The Cupra R doesn’t vary too much on the outside, with the most notable addition being a unique copper-effect finish on the alloy wheels and door mirrors. Other changes include more carbon fibre trim and more aggressive bumpers and side skirts. There will be three colours to choose from; Midnight Black, Pyrenees Grey (neither with extra cost) and the exclusive Matte Grey seen in the pictures here. We are yet to see a picture of the cabin, although it’ll likely mirror the sporty enhancements seen on the outside – Alcantara trim will feature, including the steering wheel, while carbon and copper-finished trim will finish the look off. 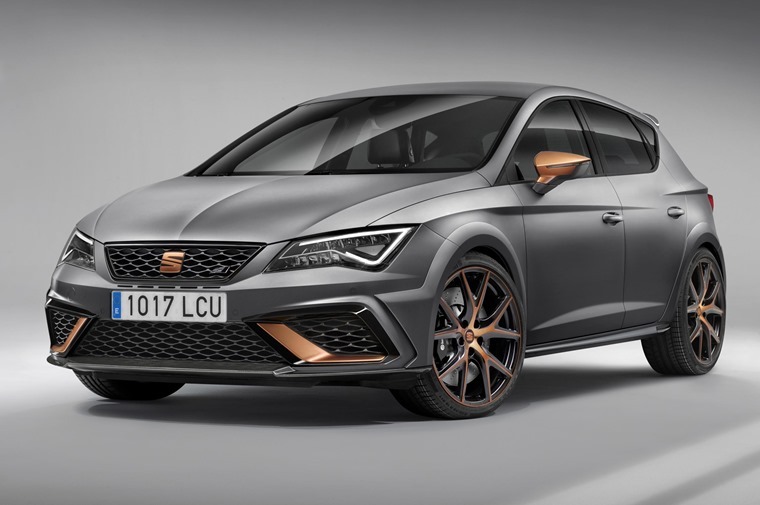 Seat is keeping tight-lipped about official performance stats, although we can expect a 0-62mph time of around five seconds, while top speed is likely to be a (limited) 155mph. It can be specified as a manual six-speed or with Seat’s DSG automatic gearbox just like the standard Cupra, but an adaptive sports suspension, a performance exhaust and uprated brakes mark it out from less potent versions. With just 24 destined for UK shores, all of them have already been snapped up. 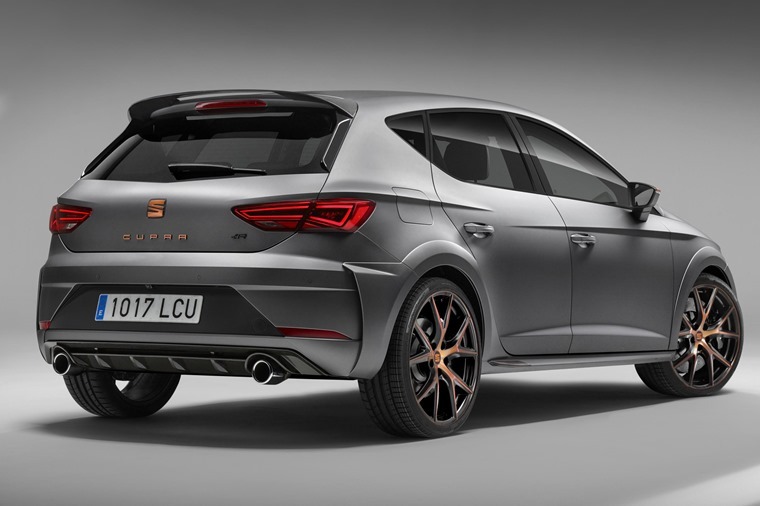 That doesn’t mean you can’t get in on the Cupra action though – find hundreds of lease deals on the standard Cupra by clicking here.